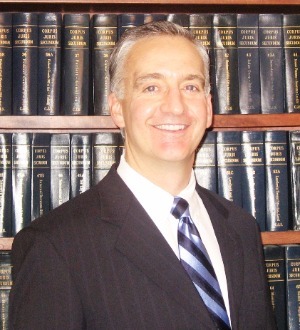 Daniel L. Fitch concentrates his practice in the areas of civil litigation, with an emphasis on intellectual property, product liability, personal injury, and construction matters. He has five years active military service; he served with distinction as an officer in the 82d Airborne Division and 7th Special Forces Group. He graduated first in his Green Beret qualification course, is a master parachutist, combat diver and Army Ranger. Dan is a licensed professional engineer in the Commonwealth of Virginia since 1982. Registered patent attorney before the United States Patent and Trademark Office. AV Peer Rated by Martindale-Hubbell. Listed in The Best Lawyers in America; Virginia Business Magazine, Legal Elite. Regional trial practice, including trials in the state and federal courts. First chair trial counsel in over 90 significant jury trials since 1986, including product liability, patent, construction, fraud, trade secret, environmental, automobile liability, trucking accident, fire, insurance coverage, premises liability, architect and engineer professional liability, personal injury, wrongful death, unfair business competition, idea submission, and property and casualty cases. Regional intellectual property practice for individual and business clients. Drafted and prosecuted patent and trademark applications before the United States Patent and Trademark Office; prosecuted and defended utility and design patent infringement actions throughout Virginia. Regional construction practice for individual and institutional clients. Drafted and negotiated hundreds of construction agreements for individual and corporate owners, architects, and contractors for projects in scope of up to $200M. Prosecuted and defended construction claims throughout the region.